The TEN Tenors are undoubtedly one of Australia’s most successful touring entertainment groups of all time, with more than 90 million people worldwide witnessing their unmistakable charm, camaraderie and vocal power. 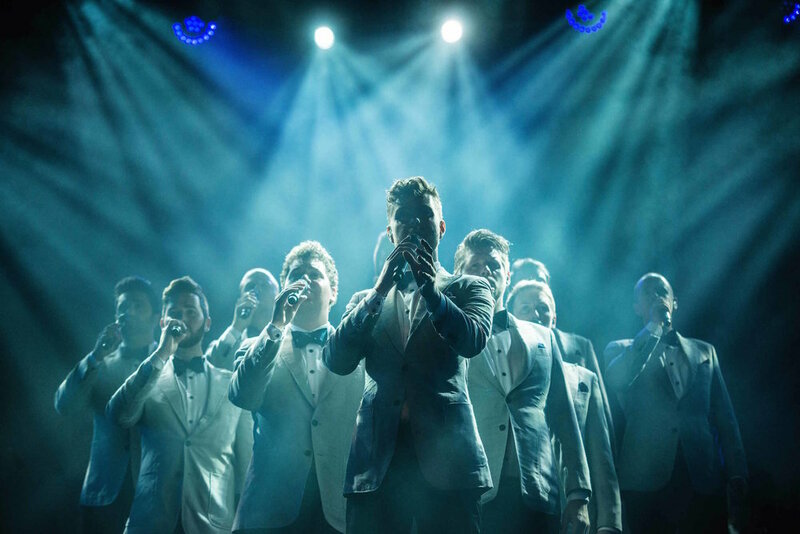 The TEN Tenors have cemented their place as one of the world’s most loved classically based contemporary music groups, with 17 years of sell-out performances, six platinum and gold records, and over 3.5 million concert tickets sold. Celebrated for their wonderfully vast repertoire, breathtaking arrangements and powerful live performances, The TEN Tenors respectfully tip their hats not only to the great classical tenors and composers, but also contemporary music’s most popular artists. From Buckley to Bocelli, an evening with The TEN Tenors is guaranteed to surprise and delight in equal measure. Featuring fresh wild-caught Pacific Salmon, oven poached in white wine, lemon and butter, brushed with a sundried tomato & basil pesto. Served with toasted orzo rice pilaf and fresh steamed vegetables tossed in butter and fresh basil. Strips of tender chicken breast with corkscrew pasta and sautéed onions, zucchini, mushrooms, and bell peppers deliciously coated in a garlic cream sauce with parmesan cheese. Served with grilled garlic french bread.